If you would like to sign up to receive Email announcements of sessions, concerts, and other happenings, please click this button. Please specify in the body of your Email whether you'd like to receive announcements about concerts only, or whether you'd like to receive announcements about all Celtic-music-related events in central Arkansas. Click HERE to go directly to the ACMS Group page at YAHOO. If you would like to let us know about an upcoming event that you think would be of particular interest to Celtic music fans in Arkansas, click this button. If you represent a band, and would like to set up a concert in central Arkansas, please click this button. 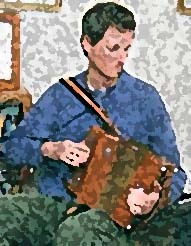 If you are looking for Celtic musicians to play for a particular event, click this button. If you are an artist or a vendor interested in participating in the next ACMS Celtic Fair or if you would like more information about the Celtic Fair just click this button. If you're going to buy anything from 'Amazon.com' please go from here so we receive a portion of the profit! Your items will not cost more. Just click on the image at left to participate in our 'Amazon' option. Thank you! Celtic Clipart courtesy of Karen Nicholas.